Light up their faces by giving a Woodlands Christmas Gift Voucher. It’s something completely different and unexpected. We have a choice of gift vouchers for all the family! Vouchers valid 27th December 2018 – 24th March 2019 – can be used at weekends only. Indoor areas open. Some rides closed. (Annual Passes are valid for a year from the date they are redeemed. Vouchers must be redeemed by the date on the voucher). Annual Pass Holders now get 15% off in the Gift Shop and 10% off Catering! Vouchers valid for 12 months from date of purchase! Give the gift of a day out this year! Choose the amount you wish to purchase to be put towards day entry to Woodlands Family Theme Park in 2019. Vouchers valid against Day Entry only, they can not be used against Catering or Gift Shop purchases. Vouchers valid for holidays in 2019! Give the gift of a holiday this year! Choose the amount you wish to purchase to be put towards a Woodlands Grove Caravan and Camping holiday in 2019. 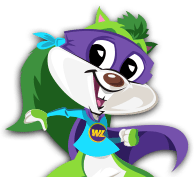 All stays at Woodlands Grove include FREE entry into Woodlands Family Theme Park and all the events. Payments are taken by Credit/Debit Card over the phone or you are welcome to visit our reception.